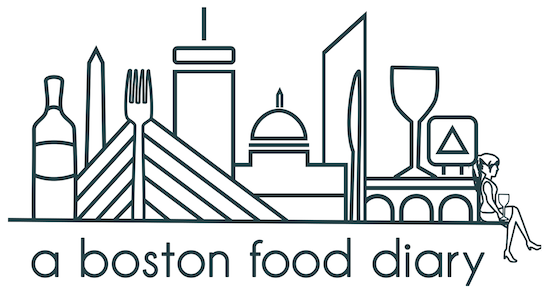 A Boston Food Diary: Georgetown Cupcakes- Opening June 16th and Wants YOU to Help Them Celebrate! Georgetown Cupcakes- Opening June 16th and Wants YOU to Help Them Celebrate! The last few years have seen a serious surge in cupcake shops- not just in Boston but all over the US. It really isn't a curious fad- little personal sized pieces of cake topped with a dollop of fresh icing can turn any old Tuesday into a celebration. They are petite cakes of heaven and it serves good reason that they are a lasting trend. This weekend a brand new shop is opening up here in our fair city, and it comes with high acclaim. Originally started in DC, Georgetown Cupcakes made national headlines as they starred in TLC's DC Cupcakes and are now found all over the US with locations in Maryland, New York, Los Angeles and as of June 16th, Boston. I had the opportunity to stop in for a quick sneak peek of their cakes, and their incredibly trendy shop. The store is located at 83 Newbury street and bedecked in pink lighting with a chic interior it is not your average bakery. Their menu features over 100 unique flavors, with 18 served daily on a rotating (daily and monthly) basis. Their store also features an open kitchen where customers can check out the cupcakes getting baked, frosted and decorated. I had the opportunity try a few of their samples- a Red Velvet, a Boston Creme, Chocolate Coconut, Peanut Butter Fudge and a bite of their Salted Caramel. Their frosting is, in a word, divine. Rich, creamy and whipped to perfection, each was just sweet enough to satisfy that pesky tooth, but not overpoweringly so. I was not as equally thrilled with the cake unfortunately. I found it oddly spongy with a too distinct crumb structure. They weren't "dry" exactly but bordered on so. I was also disappointed to find that those cakes that were supposed to be filled with a filling (IE the Boston Creme) were not stuffed with enough filling and it was basically lost in the cake. Overall however, I feel that the flavor combinations are truly unique- Lemon Berry, Maple, Cinnamon and Honey Banana topping that list- and their frosting is lovely and decadent. I urge you guys to check this new spot out for yourselves though- and to make that even easier for you- this Saturday, June 16, Georgetown Cupcakes will be giving away 1 FREE cupcake per person, any flavor available that day, all day from 12pm to 9 pm. Stop by and check them out! Can't believe you already have your post up! Last night was a lot of fun! The hazelnut cupcake was awesome. I LOVE a good frosting, hopefully the flavors and the frosting make up for the cake. When it comes to cupcake shops, I'm always dubious. Cake, to me, is a highly personal thing. I hardly ever even order cake as a dessert, preferring ice creams or creme brulees because no one can match the ideal cake you have in your mind, you know? But if I do step into a bakery for a cupcake, it's almost always because they have fabulous frosting. And I'll think of that little cake as a vehicle for me to not look like a fool hoovering down copious amounts of butter, powdered sugar, and some sort of extract on its own. So this place sounds alright in my book. Will have to check it out when we finally make it to Boston. Happiest of birthdays, Fiona! I hope you have a fabulous day. New This Summer: Kayem Lean Franks!